While this year has gotten a bit more hectic having a new little one around, that doesn't mean I am not super excited to get back to enjoying all the great things in life. One of those things being food! I was pretty bummed last year when I had to miss out on all the fun holidays and festivities it seemed like everyone was partaking in. Being pregnant has got it's ups and downs and this past time meant missing out on all the great foods I loved because of how restricted my diet was. You all know we love to entertain and will find any excuse to throw a party and this year we are going full force! 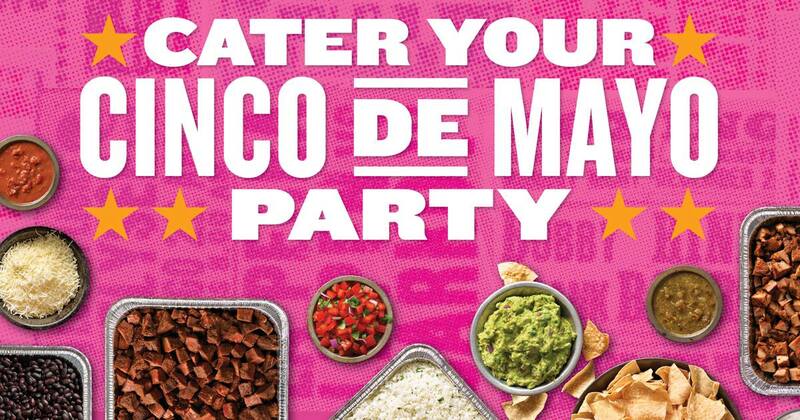 With Cinco De Mayo nearing, we've got some big plans to celebrate the holiday and with some seriously amazing food. This year we are celebrating with Qdoba Catering. "A place where flavor takes a universal approach to activating your senses all at once, full blast." 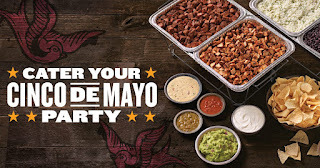 Qdoba Mexican Eats makes hosting Cinco de Mayo fiestas a breeze with their catering menu, which promises hot, delicious and completely customizable meals delivered right to your party, keeping all guests happy and well-fed. 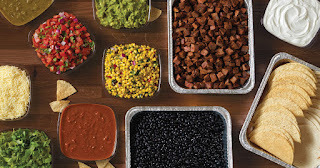 Perfect for parties big and small, Qdoba's catering bars are fully stocked with warmed chips and salsa, savory meats and fresh toppings, including delicious guacamole made with Avocados from Mexico, and more. I love Mexican food! I can't get enough, and the spicier the better! I love the way the flavor ignites my taste buds. But when it comes to spicy food and other people, I know not everyone feels the same. 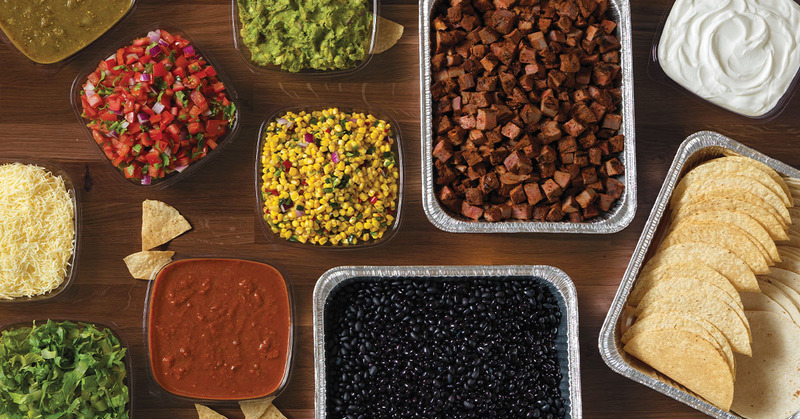 This is why I love Qdoba Catering and their customizable menu. 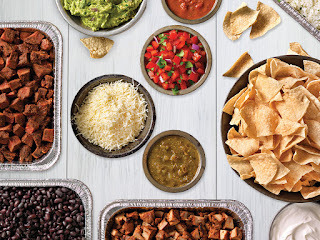 Everyone can enjoy their favorite Mexican foods while making it to their specific taste. They've got a reward system where you can earn great discounts and special offers. Giveaway: Qdoba wants to help make your Cinco De Mayo filled with flavor! Qdoba is going to give one of A Lucky Ladybug's lucky readers a $100 catering gift card to order some great food of their own!